One of the main reasons people learn Spanish is to communicate more effectively with the locals on holiday. Spanish people immediately warm to anyone attempting to speak in their own language, allowing you to make friends more easily. Without a doubt, holidays will become much more enjoyable and rewarding. 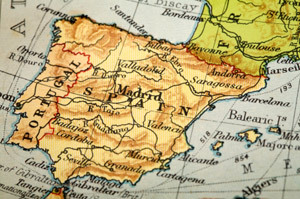 An experienced Spanish tutor will assess your current level and future aims so that lessons can be tailored to your specific needs. We can help you learn from scratch the phrases you will need to deal with any situation or help you brush up on existing conversation skills if you are at a more advanced level. Even after just a few lessons you will be able to greet the locals, order meals, ask for directions, book hotel rooms, take a taxi, buy tickets and go shopping – all in modern Spanish. Lessons are fun and practical and aim to encourage mainly speaking and listening, but also reading and writing if required. As you progress, you will gain confidence for a variety of situations and speak more fluently. 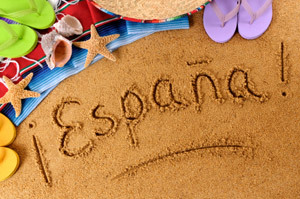 With over 320 million people speaking Spanish worldwide it is not surprising that Spanish is the most popular foreign language to learn nowadays, both for travel and work. Contact VLS to discuss your individual requirements or to arrange your first lesson. We will then create the perfect set of lessons for you. Learn on your own, with your partner, friends, family or colleagues. Learn face-to-face in your home or online via Skype or by telephone. See Online Learning. Book one-off lessons leading up to your trip, regular weekly or fortnightly lessons or an intensive day course. We will recommend a suitable course book, a simple grammar book and a dictionary. In addition, we provide a wide variety of stimulating learning materials with tips for extra interactive online exercises if you would like more practice between lessons – providing excellent value for money! Call VLS today to check availability for your first lesson. 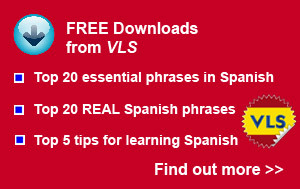 VLS offers face-to-face Spanish tuition in Peterborough and surrounding areas and online tuition all over the UK.